Can a popular Facebook group become a real “startup”? reinvented and launched as a standalone online community. Will it work? Secret London’s success as a startup certainly isn’t guaranteed. Some have criticized its use of a .us domain name. Others point out that the website was apparently launched without a thorough QA (the design appears to break in IE7). Details aside, the biggest question is whether Secret London’s popularity on Facebook can be easily harnessed to build standalone adoption. One of the advantages to building a community within Facebook is that just about everyone is already on Facebook, and Facebook’s users are really, really active. With the click of a button, a user can join your ‘community‘. And staying engaged doesn’t require logging into a separate website. In other words, joining and participating in a Facebook group is a frictionless experience for users. For group creators, that means building up an audience is easier and losing it to attrition is less of a concern. As a standalone website, Secret London will have to convince its users to visit and use yet another website. That means far more user friction, and this friction is already reflected by SecretLondon.us’ activity levels thus far. As I write this, the standalone website has just under 1,500 profiles, close to 300 discussions, approximately 1,225 secrets and just over 1,400 posts. That’s certainly not a bad start given that the site launched little more than a day ago, but it’s clear that Secret London 2.0 has a long way to go before it rivals the activity levels the Secret London Facebook group realized in a short two weeks. And if and when SecretLondon.us gets there, it will still have a long way to go before it realistically has enough activity to develop into a sustainable, profitable business. All of this said, the reborn Secret London does have a couple of advantages that most startups don’t have. First, it has managed to validate the appeal of a concept very quickly and without much investment by tapping into Facebook’s tools and audience. And second, since it already has an audience on Facebook, in theory it may have less of a user acquisition challenge, even if it does have a user migration challenge. While these two advantages don’t guarantee success, the reality is that a lot of companies are created with neither validation nor an audience. Passionate entrepreneurs spend countless hours and lots of money building standalone websites, only to grapple with slow uptake and the dreaded ‘chicken versus egg‘ conundrum. While it’s obviously not feasible for every entrepreneurs to get started on Facebook, it’s a path that more and more will probably consider. 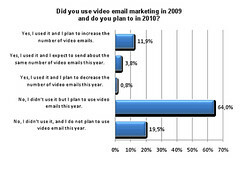 Marketers want video email to take off. Will it happen? With the rapid growth of social media, the once stalwart digital marketing channel of email is experiencing growing pains. Consumers are finding email messages less relevant and experiencing email fatigue. One way to fight the decline of email relevance is through increased engagement. According to a new study from Implix, marketers are planning to grow their video implementation exponentially. In fact, there could be a 480% increase in planned video email usage over the next year. But do consumers want to receive marketing via video in their inboxes? 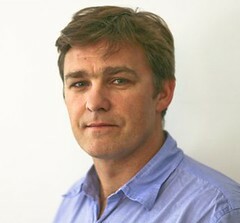 As announced yesterday, LBi and Bigmouthmedia merged to create ‘Europe’s largest digital agency’ in a deal worth £100m.